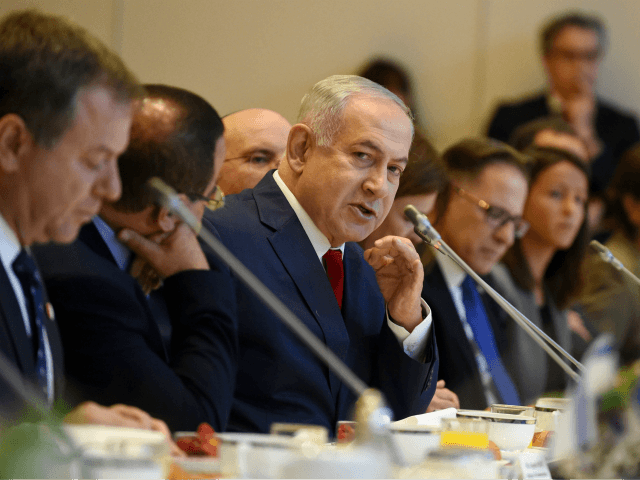 TEL AVIV – Israel is “shielding” Europe from Middle Eastern terrorism, and European nations should show more gratitude and less “hostility” to the Jewish state, Prime Minister Benjamin Netanyahu said Sunday in Paris. “We certainly have criticism of the one-sided and hostile approach of the European Union to Israel,” said the prime minister, pointing to the European body’s funding for human rights groups that document alleged abuses by Israeli soldiers. Israeli intelligence sharing and terror training with European nations have helped thwart scores of terror attacks in recent years, including an attack planned for a Paris suburb, aviation attacks on European cities and the hijacking of planes, and last month’s plot by Tehran to assassinate three Iranian opposition figures on Danish soil. Netanyahu also said that diplomacy was futile with Hamas terror leaders in the Gaza Strip. “There is no diplomatic solution for Gaza, just as there is no diplomatic solution for ISIS,” said Netanyahu. However, mere hours after his comments, intense clashes broke out between Israeli forces and fighters in the Gaza Strip, forcing him to cut his trip short and return to Israel. Rockets were fired into Israel from the coastal enclave, in apparent retribution for the killing of a senior Hamas commander and six other Palestinian terrorists. One of the commandos, an Israeli soldier identified only as Lt. Col. M, was killed during the operation.